The Forest Mysteries Pro - Hidden Objects Game for Kids and Adult. 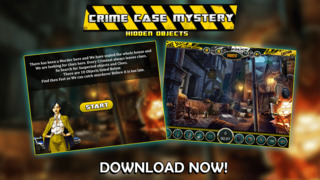 Step in the Coat of Sheriff and Solve a Great Crime Mystery in this great new Free game "Crime Case Mystery - Hidden Objects" . Find out Hidden clues from scene and catch the murderer before he runs out of our hand. • FIND hidden clues and evidence in beautiful Retina Display-ready scenes! • EXPLORE a huge mansion and visit all rooms and find clues! 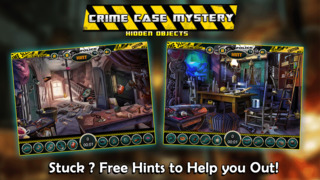 • ENHANCE your case by using hints! • SOLVE murder mystery and bring criminals to justice! • HONE your detective skills! Can you solve the worlds greatest crime mystery ? Find out by Playing the Best Hidden Object game for iPhone,iPad and iPod Touch! 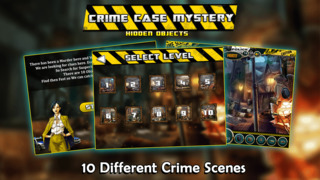 Please note that "Crime Case Mystery - Hidden Objects" is free to play, but you can purchase in-app items with real money. To delete this feature, on your device go to Settings Menu -> General -> Restrictions option. You can then simply turn off In-App Purchases under "Allowed Content"